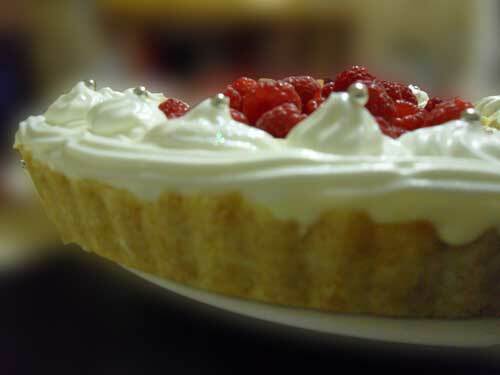 This tart was based on a White Chocolate and Raspberry Tiramisu recipe I received from a friend (who possibly got it from a Nigella recipe). And 2 cups of the sponge finger crumbs to the melted chocolate and mix together. Press the mixture into a prepared tart pan and put in the fridge to cool. Whisk the Mascarpone, egg yolks and sugar together until thick and creamy. 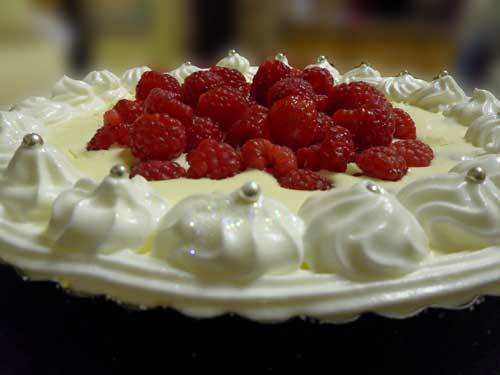 Whisk the cream until stiff and add to the Mascarpone mixture. Place half of the raspberries and half of the chocolate on top of the base prepared earlier. Hi. What size tart tin should be used for this recipe? Thanks.